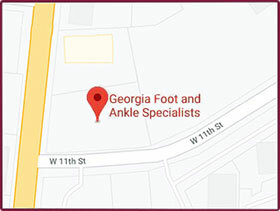 Podiatrist Stephan J. LaPointe, DPM, PhD, FACFAS of Georgia Foot & Ankle Specialists is dedicated to providing the highest quality foot and ankle care. 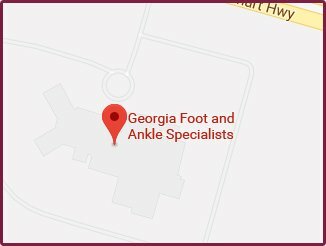 With two offices conveniently located in Rome and Cedartown, Georgia, Dr. LaPointe is the only podiatrist in the area board certified in both Forefoot and Rearfoot and Reconstructive Rearfoot and Ankle Surgery. He is the only podiatrist in the country with three years of surgical training and a Ph.D. in Biomedical Engineering. His thesis and focus was on lateral ankle instability and how to surgically repair it. Dr. LaPointe is a faculty member of the Podiatry Institute and is constantly lecturing on his work and research. Stephan J. LaPointe DPM, PhD, FACFAS is a podiatrist who is equipped to handle all your foot and ankle problems.